It’s good to be back! Sadly I had an extended enforced absence due to a bout of glandular fever (that’s mono for any American readers) which kept me away from both work and studies for about 6 weeks. Thankfully things are now returning to normal and it was a great feeling to be back on the bus again with my coursemates even if it was 6.30 in the morning! And what a return. This was one of the trips I had been really looking forward to since I signed up for the course. Hebron is one of the most ancient continually inhabited towns in the area, one of the four holy cities of the Land of Israel and site of the Cave of Machpela (also called the Cave of the Patriarchs), a place holy for Jews, Muslims and Christians as the final resting place of Abraham & Sarah; Isaac and Rebecca; Jacob and Leah. 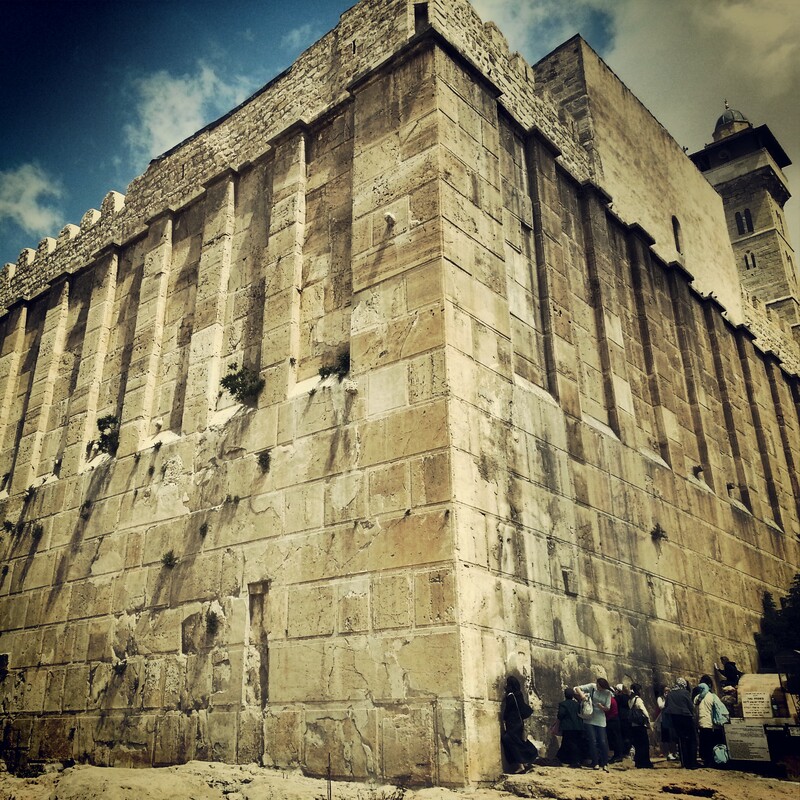 In more recent times, Hebron is sadly also a place of tension between Jews and Arabs. The reasons are too complex to go into in this blog and I’m wary of getting too much into the area of politics. Our guide did a good job of sharing viewpoints of all the involved parties without pushing any particular agenda, but this was over the course of a whole day; I think it would take me several blogs to come close to doing it justice! Modern day politics aside, it was exciting to visit the Machpela Cave for the first time; the second holiest site in Judaism, a place I had heard so much about but had never been due to nervousness about the tensions in the area. In fact, the building one enters is over the caves themselves, a later construction almost certainly by Herod. It is very grand from the outside but one feels that the later changes by Byzantine and Mamluk rulers have somewhat detracted from its interior. Once it was possible to descend close to or even into the caves themselves but the Muslim authorities who are in charge of the complex do not let anyone do so and have not let anyone do so for hundreds of years (indeed until 1967 Jews were not allowed inside at all for around 600 years). Despite this, there was someone who did make his way into the underground tunnels in 1981. Our guide related this Indiana Jones-esque story to our amazement and showed us photos from inside; imagine our excitement when he then spotted the perpetrator wandering past; we then had the pleasure of hearing this incredible tale from a the man himself. Sadly another sign of the tensions is that Jews and Muslims are separated inside the complex with each group getting the whole thing to themselves for 10 days a year each. Christians are allowed in both sides. This meant that we did not get to see the sepulchres marking the resting places of Isaac and Rebecca; it also meant that it was impossible to escape from the fact that this was a complicated place and I felt it was a great shame that for most of the year neither Muslims nor Jews are able to visit the whole site because of the previous actions of extremists. 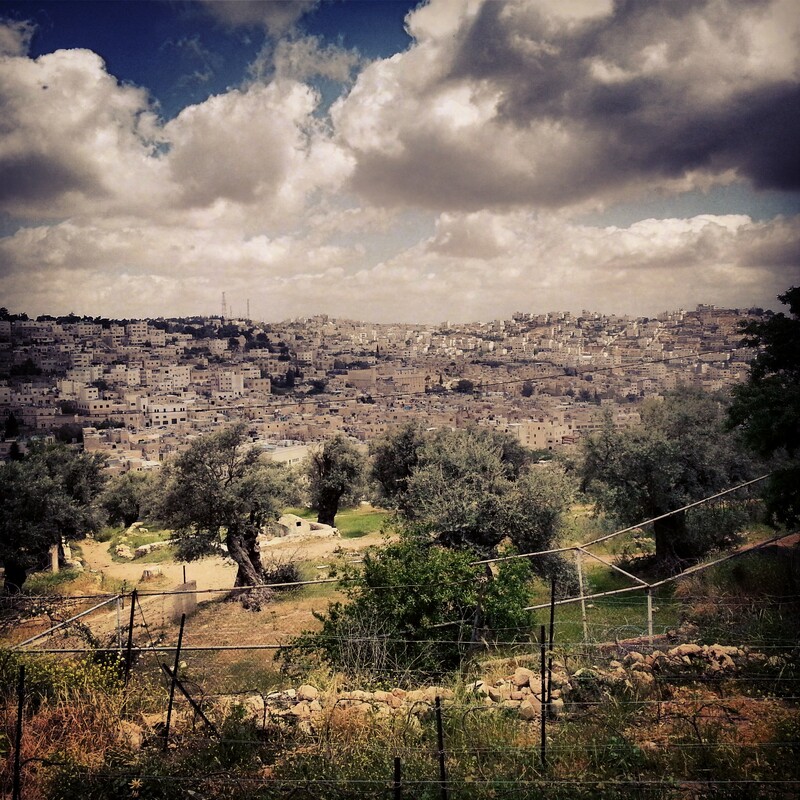 We left the cave and went up to Tel Rumeida, the site of the biblical city of Hebron. We explored some ancient remains and then went to a viewpoint over the city whence our guide explained to us the historical importance of Hebron as a local economic centre; its strong local culture and the realities of life there post-Israeli control in 1967 and since the cities partition as per the Oslo peace process. We left Hebron and headed south, still within the range of mountains known as Mt Hebron. Today’s theme was the desert frontier and to see how ancient communities coped and adapted to the trickier agricultural and security conditions associated with being so close to desert both in the east (the Judean desert) and in the south (the Negev). 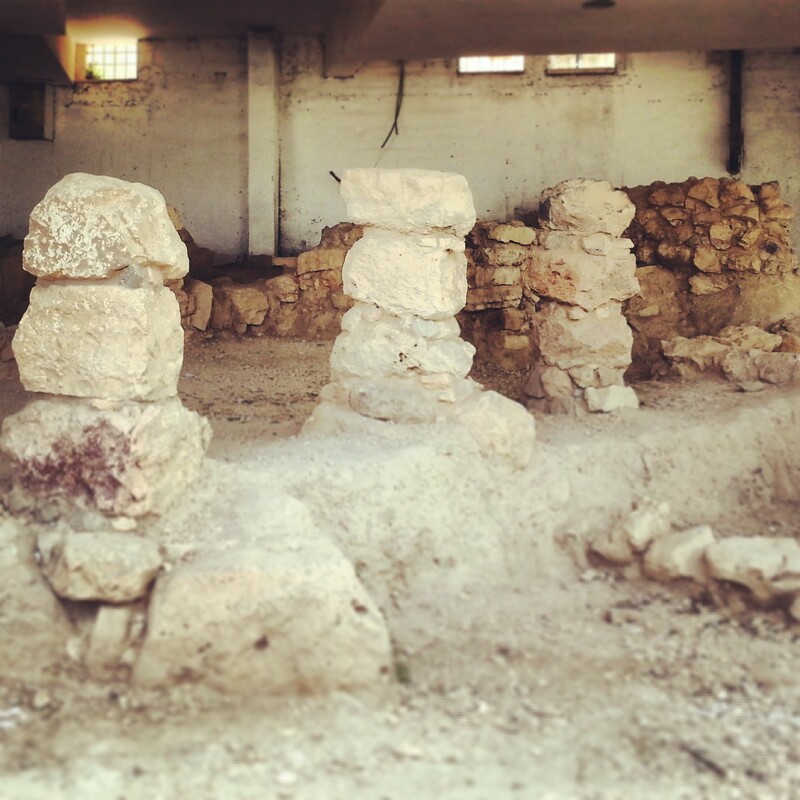 Our next stop was Susya, the remains of a large Byzantine era Jewish settlement. It is something of anomaly; no one can identify a Byzantine era town or city that would fit with this location and size. Susya is the Arabic name of the area, and that is what is used for now. 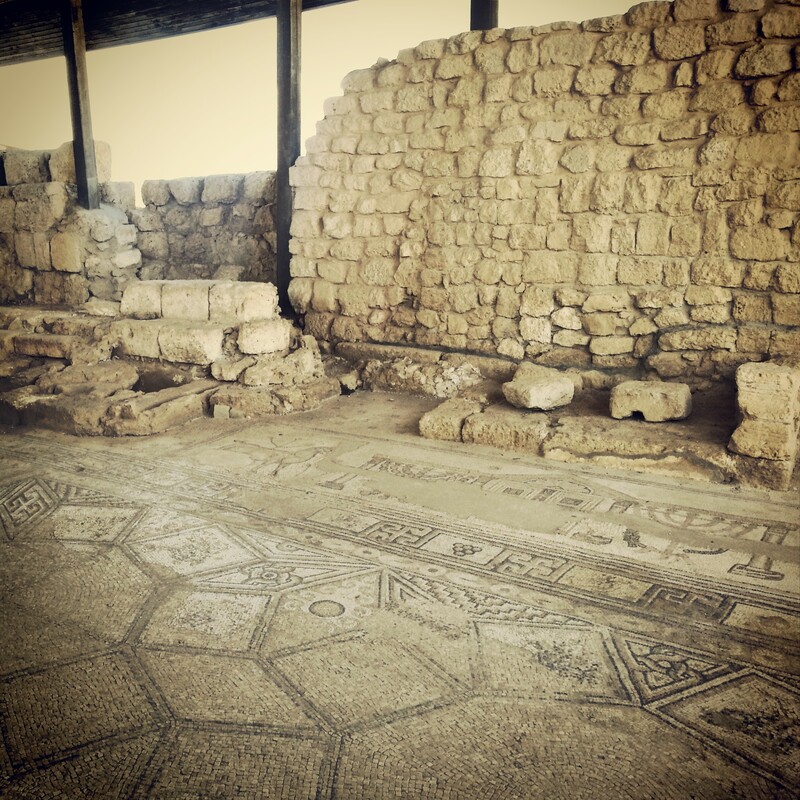 There is a large synagogue with a beautiful mosaic floor together with various other excavated ruins and a somewhat dated but nonetheless interesting film imagining life here. However, on the way to the archaeological park we passed tents of people who had historically lived in the area, and indeed some were moved out of the area that is now the site. They are in constant tension with the Jewish inhabitants of modern day Susya which is in the hill facing them. While our previous trips in the West Bank had been around the edge and had pretty much avoided these tensions, here it was right in our face to see. 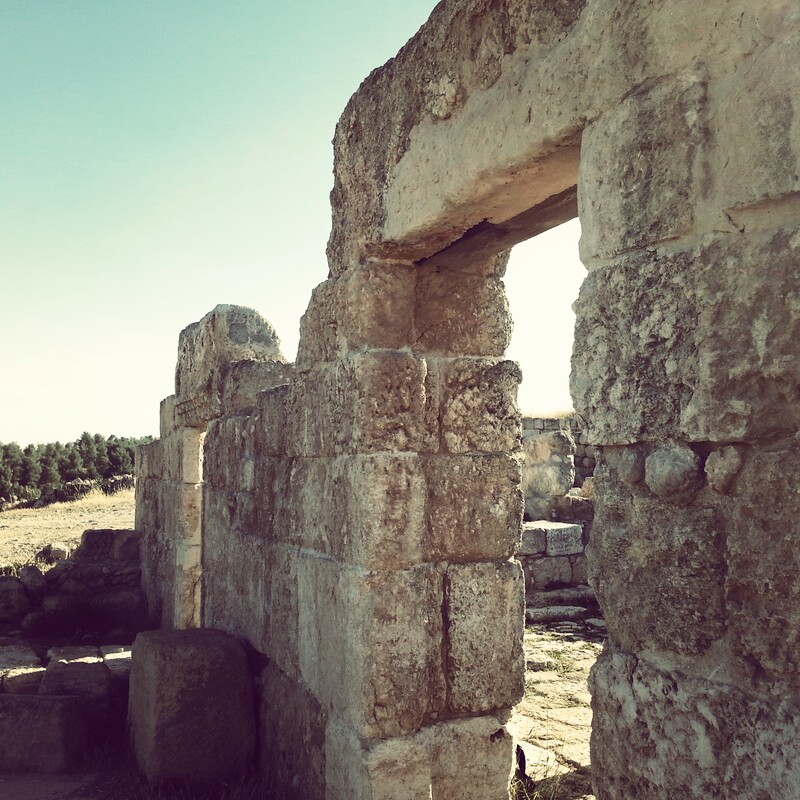 We travelled further south and just out of the West Bank to another ruined synagogue, this time at Anim, in the Yatir Forest. 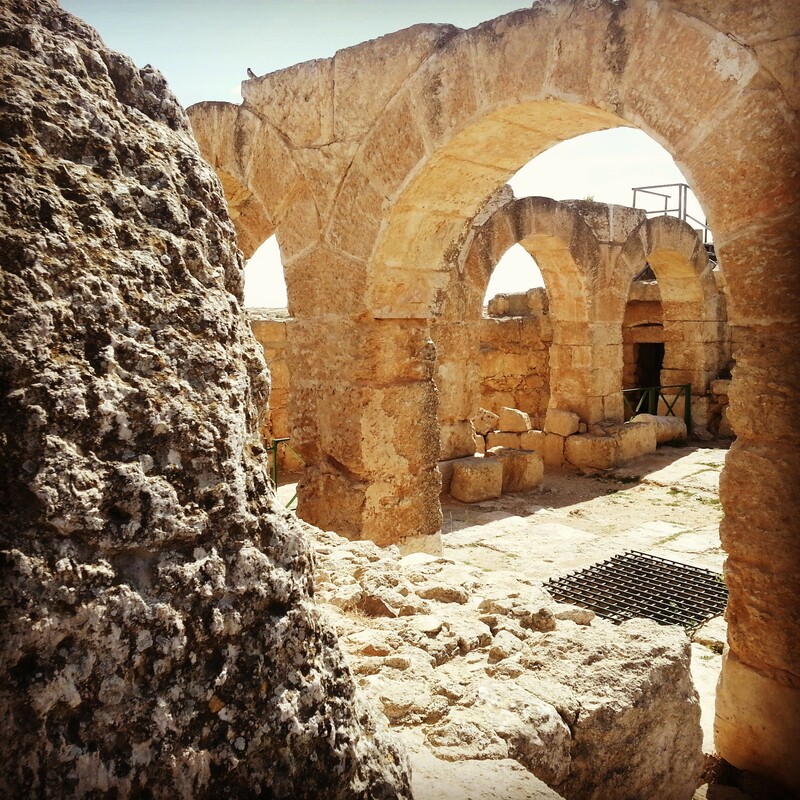 We used this and also Susya to learn more about the lifestyle on the desert frontier and here specifically about the rich agricultural pickings in the area; near Anim were many vineyards for manufacture of wine and also grape sugar, also in the Byzantine period. We returned whence we came, stopping off on the way in Avigail, an illegal settlement outpost consisting of a few caravans containing about twenty families. Our guide explained how it was possible for this place to exist, and why they had so far been allowed to stay despite the fact that it was illegal under Israeli law. We tried to temporarily forget about this to enjoy the view out over the desert frontier landscape and heard the story of Abigail and David, which would have taken place in this area (hence the settlement’s name). With this, it was time to return home. This trip was particularly interesting as it was areas that I had never seen before and, barring a tourist’s request, I think it is unlikely I will come back in the near future. On the one hand it was fascinating to see and learn about Hebron in person; to see the ancient ruins and landscape of the area. On the other hand the political situation was unavoidable and pulled me alternatively from right to left on the political spectrum. I ended the day thoroughly confused, which I actually think is appropriate – the situation in the West Bank really is confusing; absolutist and clear cut solutions to the tensions there are not readily available. Nonetheless, I still hope that peace will come to us soon.